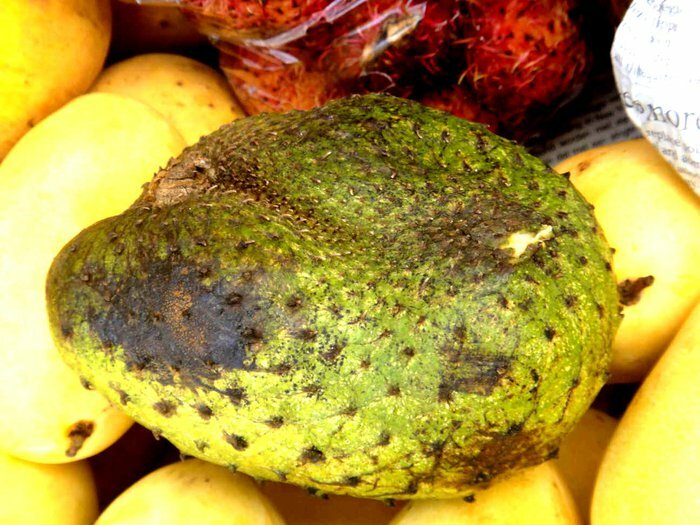 Soursops — my new favorite fruit! 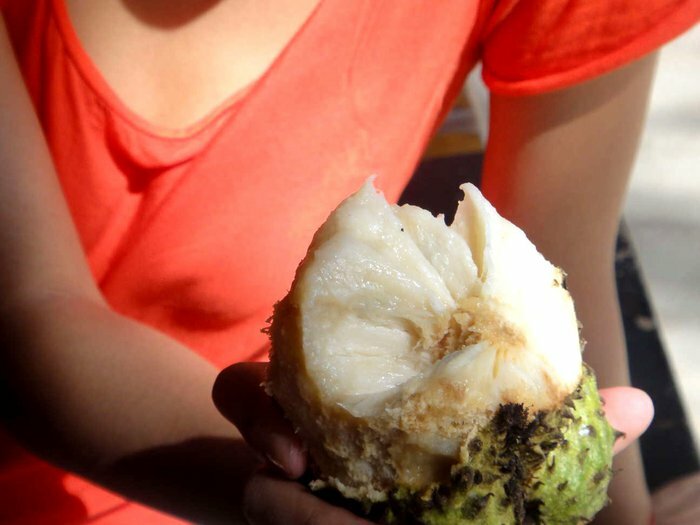 Fruit vendors in Boracay had some crazy tropical fruits I’d never seen before, along with the delicious and numerous mangoes of various varieties. 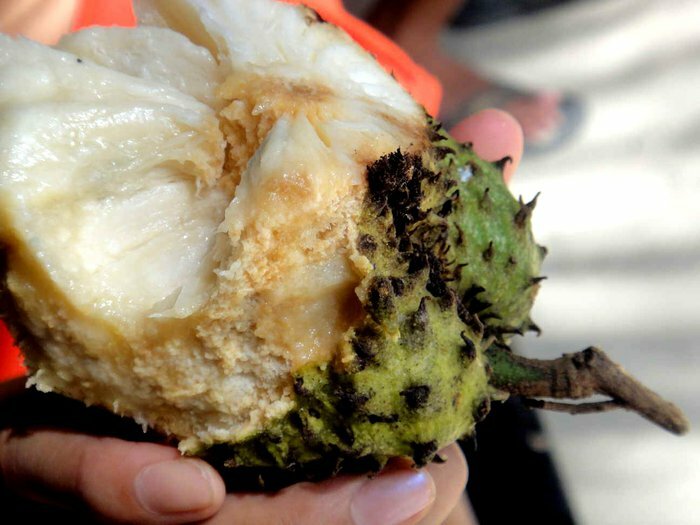 We passed on durians this time, though they were there. 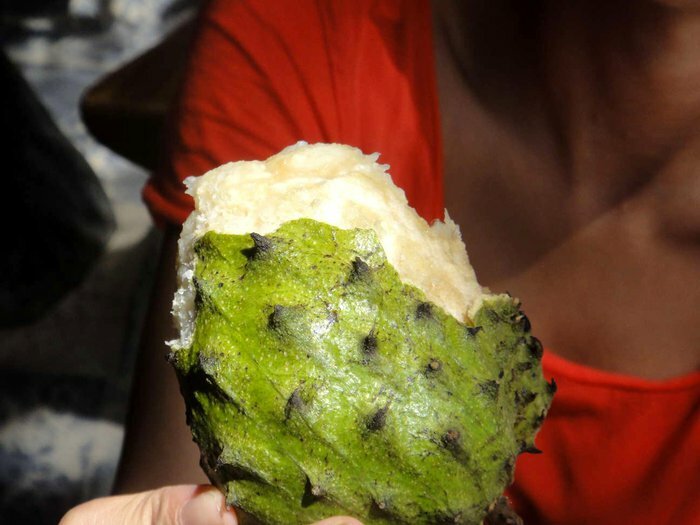 On a whim we got one of this odd looking fruit they called “Gayabanos,” which Wikipedia redirects to Soursop. Weird name in English, but it has many names in Central and South America, Africa, and Asia. 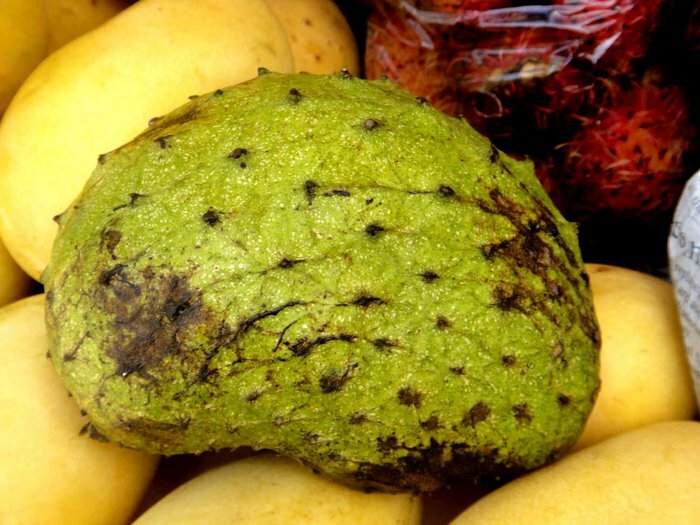 It’s BANNED by the USDA as a fresh fruit import – the skin is prone to carrying med-flies and other crop-destroying larvae…only once have I ever seen it sold and that was by a Caribbean street fruit vendor in Brooklyn about eight years ago. If you see one of these golden morsels, buy it and eat it! Or send it to me and I’ll eat it. When you’re eating good food with good friends, it’s hard to have problems in life. In other words, filling your life with fresh fruits and vegetables puts a lower limit on how bad in can possibly be.